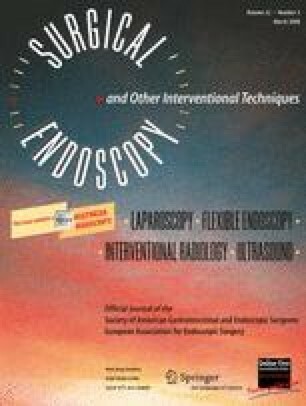 Laparoscopy-assisted distal gastrectomy (LADG) with lymph node dissection for advanced gastric cancer is still controversial. To evaluate the technical and oncologic feasibility and advantage of LADG with D2 lymph node dissection, the authors compared the surgical outcomes of LADG with D2 dissection and those of conventional open distal gastrectomy (ODG) for patients with early gastric cancer (EGC). Between September 2004 and August 2005, the study enrolled 75 patients with a preoperative diagnosis of EGC. Of these 75 patients, 44 underwent LADG, and remaining 31 underwent ODG. All the patients received D2 lymph node dissection. Their clinicopathologic characteristics, postoperative outcomes, and retrieved lymph nodes were compared at each station. Although the operative time was significantly longer for the LADG group than for the ODG group, the perioperative recovery was shorter and, consequently, the postoperative hospital stay was significantly shorter for the LADG group (7.7 vs 9.4 days, respectively; p = 0.003). No significant differences were found in the total number of retrieved lymph nodes (37.2 vs 42.4; p > 0.05) or node stations (p > 0.05) between the two groups. LADG with D2 lymph node dissection is a safe and feasible procedure, and it is oncologically compatible with open gastrectomy. A large-scaled prospective randomized trial with advanced gastric cancer patients should be conducted to confirm the benefit of LADG. This work was partly supported by the Catholic Cancer Center.